Sunset or Sunrise? End or Beginning? Here is my next "Sunset" themed piece. Someone last week asked "Is that sunset or sunrise"? Good question since this is just a scene out of my head but to me, this looks restful, not "waking". Now the crickets begin to chirp and cicadas begin their song, unceasing through the night. Someday, I'll paint a good sunrise but for now, this one to me is definitely and happily a sunset over the Blue Ridge mountains. Take a drive on the Blue Ridge parkway in either direction from Asheville at about 8:00 tonight and this is what you'll most likely see (and this is why I love living in Western North Carolina. 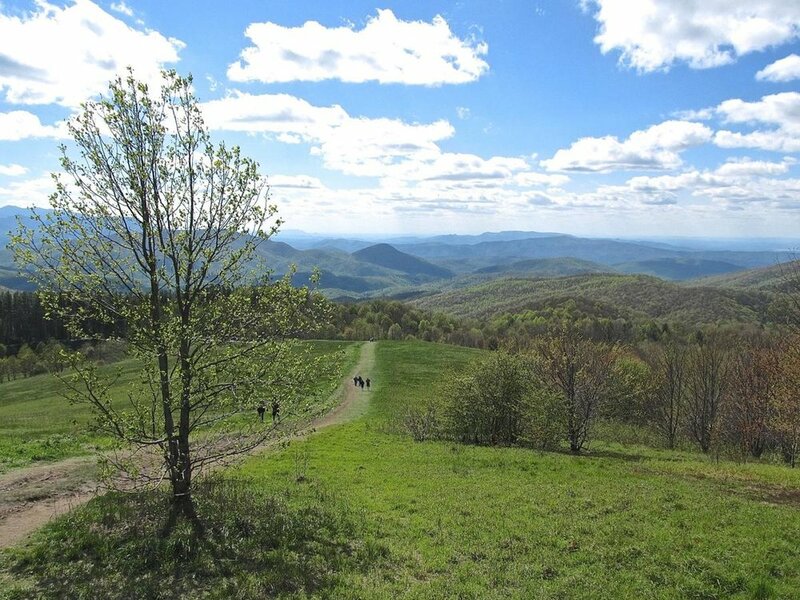 There are few more beautiful places than at the top of the Appalachians. 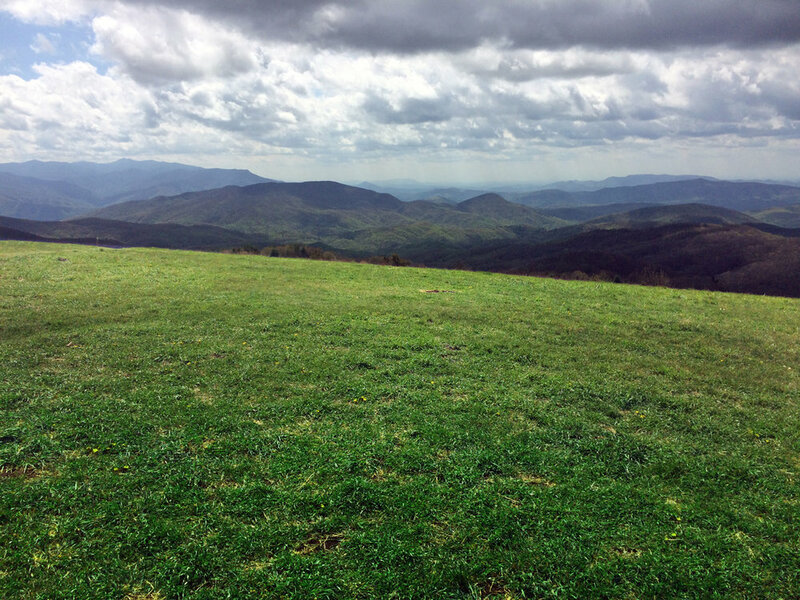 Several years ago, we visited a place called Max Patch (about an hours drive west of Asheville) and it feels like the top of the world. It's definitely one of those North Carolina landscapes you never forget. On a clear day, I think you could see nearly a hundred miles in every direction. This oil painting (sold even before completed!) 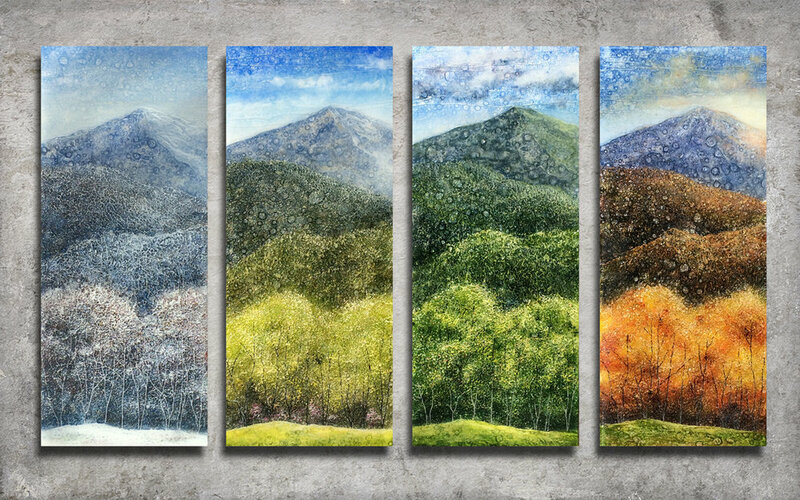 was painted to be installed above a door as "entrance art" and was based on memories of the many times we've hiked to the top of that bald and enjoyed a picnic dinner, glass of wine and Pim's (you have to have Pim's for dessert when you eat a picnic dinner at the top of Max Patch).